Welcome to the online home of Fox Company, 2nd Battalion, 502nd Parachute Infantry Regiment, 101st Airborne (Reenacted). 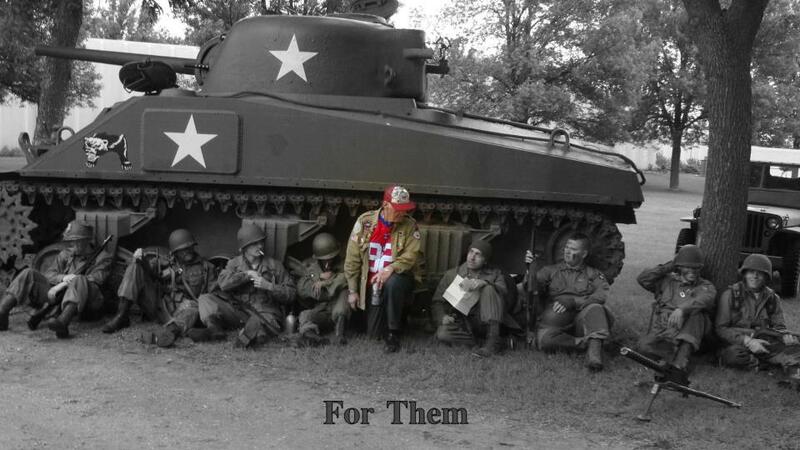 We are a World War II living history and reenactment unit authentically portraying the image of the typical 101st Airborne Division soldier as he would have appeared in 1944-45. The individuals who comprise this unit pride themselves on authenticity and historical accuracy. Each member is a dedicated solider who must meet both physical and basic military skills requirements annually. We do this to honor the memory of those American Airborne heroes who fought and died in Normandy, Holland, Luxembourg and Germany. We do this out of deep respect for our World War II veterans- not to just look good. Our group is based in the Minneapolis/ St. Paul metro area, with a membership contingent encompassing the entire Midwest. We are proud to say to say that we are sponsored by the Minnesota Museum of Military History located at Camp Ripley, Minnesota. Fox Company is also a chartered member of the World War Two Historical Reenactment Society (WWII HRS). To honor the Airborne soldiers of the Second World War, and also all veterans of America's "Greatest Generation" who served their country in her greatest time of need. Whether jumping from the skies over Western Europe, wading ashore on the beaches of the South Pacific, flying in the airless stratosphere through flak or keeping watch on the deck of a "pig boat" through stormy seas we honor them all. We are guided by the slogan "Let No Story Go Untold." Americans and people all over the globe enjoy a better quality of life as a result of their countless sacrifices. These sacrifices that must never be forgotten by future generations. Through living history displays and interactive events, we view America's youth as our primary audience- helping to educating them about their country's heroic and glorious past.